I shared this photo on instagram and Facebook the other day and I said, alas, the first dandelion of the season is not greeted with the same enthusiasm as the first crocus. Womp womp. However, I was reminded that dandelions are food for bees and therefore quite valuable. And you know, they are bright and cheerful. In other words, as my mother-in-law used to say: who decreed a weed a weed. It’s Easter weekend. I’ll be busy prepping and cooking in order to host dinner for 10 on Sunday. I couldn’t be happier about it. I hope you’re happy with whatever your weekend has in store! Happy Easter, Carole! I think the dandelion looks beautiful! I can’t help but appreciate that lovely bright yellow, whether it’s a daffodil or dandelion. They are food for my sil in addition to bees; she always makes a dandelion green salad and/or quiche to celebrate spring. I hope you have a delicious dinner and a very Happy Easter! 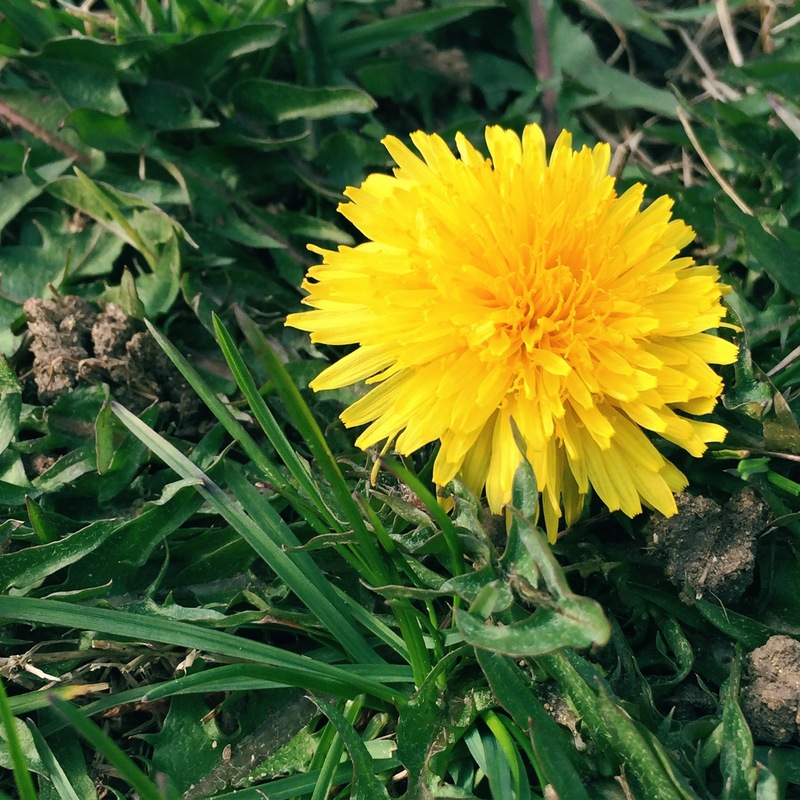 Hurray for dandelions! (I am always my neighborhood WINNER in the dandelion department. . . ) (Another bonus — you can make a wish.) Happy Easter, Carole. Enjoy every moment of the weekend. Happy Easter Carole! Have a wonderful time, I know your dinner will be tip top! I love dandilions because they remind of my kids picking bouquets of them for me when they were little and it’s true that the bees need them. Happy Easter! Yeah, who did declare a weed a weed? The photo and the philosophy are day brighteners. Have a bright and happy Easter. I see wishes when I see dandelions – happy Easter wishes, Carole! So many lawns no longer have the perky yellow flowers. They remind me of childhood and using a special tool to work them out of the ground with the root intact. I made bouquets and flower rings of the cheery blossoms.